President and CEO Jeffery McAnnally from Macular Health shares with us a new technology that improves the absorption rate of all those good nutrients that are included in eye vitamins. 1. A new delivery method for macular degeneration vitamins has been developed by your company, called Oral Thin Film. Tell us about this new way of getting our eye health vitamins. Our new MacuStrip™ will eliminate the need for patients to swallow a pill which many people have difficulty doing. 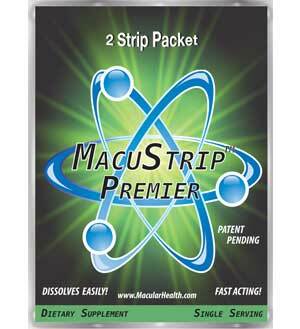 MacuStrip™ works much like a breath freshener strip, dissolving in about 15 seconds in your mouth and leaving a pleasant fresh taste. We deliver the same vitamins you would get in a pill using our Oral Thin Film (OTF) technology, which could improve the absorption rate and help to eliminate stomach irritation many people experience when taking vitamins. 2. What led you to develop or look for a new way for eye vitamins to be absorbed? Many companies have developed numerous formulations to slow the progression of Macular Degeneration throughout the years with each claiming their particular formula is better than another company’s formula. We also built a formulation and after 10 years of trying to build a better formula than our competitors we realized the key was to build a better delivery method that could change the way the patient receives their vitamins and combine it with the largest study ever done in eye health. 3. What is the problem with eye vitamin pills and supplements delivered through the GI system? Most of today’s vitamins come in two delivery modes – tablet or gel caps. According to the PDR (Physicians’ Desk Reference), tablets only offer a 10% absorption while gel caps offer a 25% absorption. If vitamins are only being absorbed at these rates, many times it is because they are not breaking down in the GI Tract thus becoming what many nursing homes call “bed pan bullets.” Often times vitamins come out whole just as they came in and if you google septic tank cleaning companies, you will see that many times there will be over a foot of vitamins in most septic tanks when pumped. 4. Why is vitamin absorption better through the mouth or oral mucosa? Simply because you bypass the first pass system thus avoiding the GI Tract. The mouth is very vascular, which makes it a better carrier of not only vitamins but also certain medicines. 5. Tell us about yourself and your eye vitamin company. What makes it different from other eye vitamin companies? We are a 10-year-old company based just outside of Birmingham, Ala. All of our formulations are built at the University of Alabama at Birmingham (UAB) Callahan Eye Foundation Hospital with the help of retina specialist Dr. John O. Mason, III, M.D. The UAB Callahan Eye Foundation Hospital is one of the top research hospitals in the world and offers testing technology far superior to most facilities which enables us to test patients using some of the finest resources available. Given Dr. Mason’s expertise with the latest medical research and the fact that all of our products are manufactured here in the USA in an FDA-inspected, GMP-compliant facility, we feel that alone is what differentiates us from our competitors. 6. What ingredients or vitamins and in what amounts are in the MacuStrips? 7. How many strips should one use in a day and how often? Should they be taken with or without meals? The recommended dosage is 2 strips a day and they can be at the same time or at separate times based on your doctor’s direction. You will not be required to take them with a meal since they are not being swallowed as a pill. 8. Who would benefit from taking the MacuStrips? Those with wet or dry AMD or those wanting to prevent AMD? 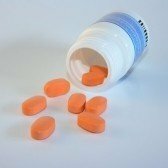 While there are no studies that indicate people could benefit from taking a vitamin supplements for AMD that have not been diagnosed with AMD, there are many doctors that feel that if you are over a particular age and have a strong family history of AMD that taking a vitamin supplement could be beneficial. We as a company feel that it is always important to consult with your doctor and/or pharmacist before beginning this or any vitamin supplement. 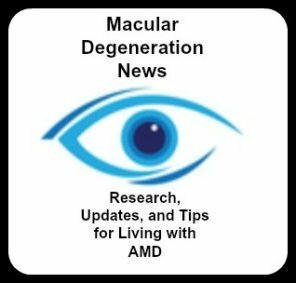 I also think that it is imperative to understand that AMD supplementation such as the MacuStrip™ or other pill forms are not intended to bring back vision and studies show that the supplements simply give you a better chance of preserving your vision. That being said, anyone taking an AMD vitamin who experiences difficulty swallowing pills as well as anyone whose stomach is very sensitive to vitamins would benefit from taking the MacuStrip™. The studies we have regarding vitamins that help slow vision loss due to AMD is only for those suffering from the Dry form of AMD, which makes up approximately 90% of AMD sufferers. 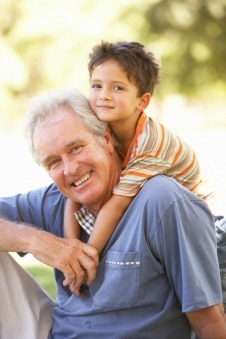 The other 10% with Wet AMD have the more treatable form of AMD using injections their doctors perform in the office. 9. If someone was interested in taking their AMD vitamins this way how would they buy them?